What is Better - Plastic or Metal Replica Airguns? It seems like most Replica Airguns collectors are looking for their Replica Airguns to be made out of metal. I even get people complaining about the frames of their airguns being made out plastic (polymer), when in fact the real steel version the gun is designed to replicate also has a plastic or polymer frame. Most modern real guns are made as light weight and compact as possible, utilizing high grade plastics (polymer) and light weight metals. Of course they use high grade hardened steel in areas where the gun receives the most pressure and continuous wear and tear. In the real steel gun world, lighter is often better since carrying around a 3 pound pistol all day can be uncomfortable. On the other hand in the Replica Gun world it can be the other way around as replica airgun collectors want that heavy clanky gun that feels solid and real in the hand. This begs the question - Do Airguns really need to be made out of metal? For strength reason generally not since high pressure is not a factor even in blank guns as there is no bullet holding the pressure in the barrel and when talking about an Airgun or Airsoft Gun, there is even less pressure on the internal parts. For this reason most companies use low grade metals that have a higher content of zinc, often called pot metal. Even though it looks and feels like gun steel it is not nearly as strong and will scratch and break much easier and not be able to handle high pressure. 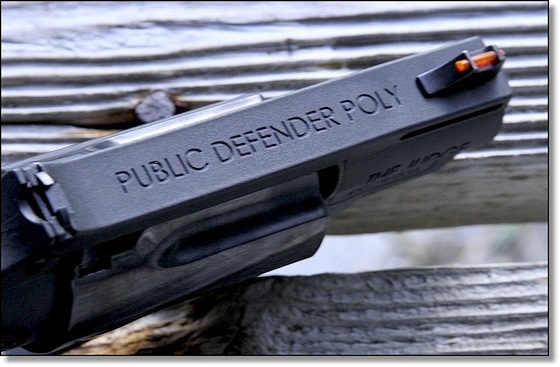 So even though you may think metal is a better option for an Airgun, the reality is that plastic can sometimes be a better option, at least in terms of durability. More flexible, can take a bit of a beating without breaking. Does not show scratches or dents as much as metal. Gives the gun a more realistic weight, feel & sound. In some situations will wear better than plastic. Can be less realistic in weight, feel and sound. Can wear quicker than metal parts in some situations. Shows scratches and wear more. Lower quality metals can break or crack fairly easily. I prefer realism so I like to have metal parts where they would be in the real version of the same gun. I like my Replica Guns to have a similar weight and feel as their real steel counterparts. I don't mind the use of plastic when it is high quality plastic and again when used in a similar manor to the real steel version of the gun. Watch my YouTube video on What is Better - Plastic or Metal Replica Airguns?